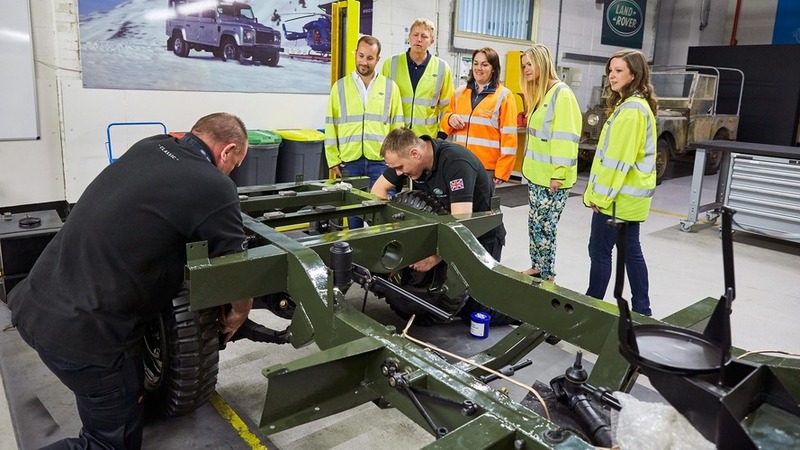 If you ever wanted to get an up-close look at the process of making old-school off-roaders ready for the mud again, Land Rover Classic has started offering tours of its restoration shop in Solihull, England. Visitors can even pay extra for the experience of driving a classic Defender at the Land Rover Experience center. The three-hour tours let visitors hear stories about classic Land Rovers and get a detailed look at the Series I Reborn restoration project. These special vehicles are the brand’s take on the recent continuation vehicles from Jaguar. The company’s team is searching the globe for 25 of the original vehicles from 1948. The technicians in Solihull are then restoring them back to the original factory condition and using original production techniques. When the crew completes the overhaul, clients have a vehicle that’s as good (possibly even better) as what was available in showrooms nearly 70 years ago. Going on the tour costs 29 pounds ($35.60) per person. For 150 pounds ($186.16), visitors can bundle it with the Driving Experience in a Defender. The drive puts a person behind the wheel of one of these classic SUVs, and an instructor coaches the client through an off-road course. Defender production ended early in 2016. We don’t expect to see the much-anticipated successor until 2018 and production likely wouldn’t start until 2019. It would reportedly use an aluminum monocoque chassis and source engines from other models in Jaguar Land Rover’s lineup. Expect a retro-inspired design that’s boxy but still far more aerodynamic than the original. Multiple wheelbase lengths and body styles would continue to give customers lots of choices, too. After Land Rover retired the Defender, a British billionaire reportedly approached the company about buying the rights to the vehicle and potentially restarting production. The automaker absolutely refused and said the model was too important to the brand’s identity. This tour would give visitors more insight into why the business values its first product so highly. 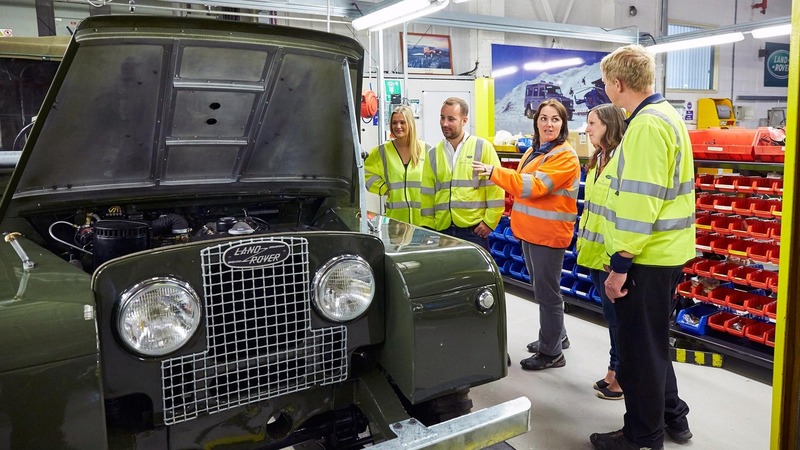 Solihull, UK – 11th October 2016 – Land Rover Classic has opened its doors to the new Reborn Tour giving visitors the chance to experience the restoration of an early Land Rover live at the brand’s bespoke workshop and facility at Solihull – the ‘Home of the Legend’. The Reborn Tour and Driving Experience begins with refreshments and welcome from an experienced and knowledgeable Land Rover tour guide. With the scene set, visitors are granted exclusive access to the newly updated Jaguar Land Rover Classic workshop at Solihull where the exquisite Series I Reborn fully restored project continues under the expert team from Jaguar Land Rover Classic. Visitors also gain access into the newly upgraded facility to admire the full capability of the Classic Workshop where skilled technicians carefully restore cherished Land Rovers to their former glory. Those attending the Reborn Tour will gain a unique and fascinating insight into Jaguar Land Rover’s history at the plant, plus 1940s production techniques and the many fascinating stories of the 1948 Series I to the recent Defender. 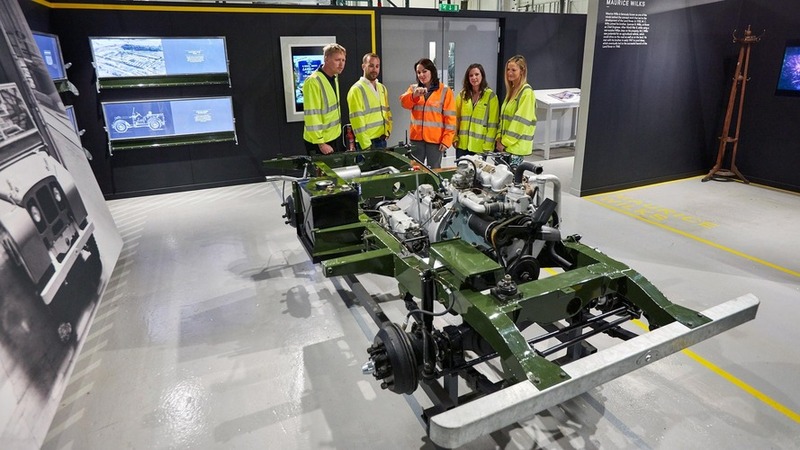 Last year over 10,000 visitors saw the final year of Defender production as part of the Defender Celebration Tour and now this stunning exhibit has been relocated alongside the Classic Workshop at Solihull for visitors to see and experience. Following the workshop tour, guests have the opportunity to experience a piece of history for themselves by getting behind the wheel of a Defender with a trained and experienced instructor. The unforgettable experience will allow you to put the British automotive icon through its paces on the legendary off-road tracks at Land Rover Experience Solihull – Home of the Legend. The Reborn programme sees Land Rover Classic’s expert team draw on decades-worth of experience to hand-pick Series I chassis from the brand’s global network. Each model undergoes a complete restoration according to original 1948 factory specification and using Land Rover Classic Parts to preserve full authenticity. This includes the choice of five period finishes including Light Green, Bronze Green, RAF Blue, Dove Grey and Poppy Red. Customers will be able to select their preferred base vehicle with the help and guidance of Land Rover Classic’s experienced restoration team, and they will be able to follow the restoration of their cherished Series I from start to finish at Land Rover’s new Classic workshop located within the original Defender production centre at Solihull. Each classic comes with a 12-month warranty – and a lifetime of history. Jaguar Land Rover Classic forms part of the business’s Special Operations division. The division’s aim is to nurture the passion for the brand through its owners and the provision of the very best cars, service and maintenance, original parts and unforgettable experiences for owners of classic Jaguars and Land Rovers. For further information and to reserve a space today, visit: https://experience.landrover.com/manufacturing-tours/land-rover-reborn-tour.